Anyone who works out or goes to the gym regularly knows the importance of always having your essentials with you. Athletic wear, water for hydration, the right shoes, a towel, change of clothes, and toiletries are the most common things that people need to take to and from a workout. Every day at the gym matters, but you can’t perform at your best if you’ve forgotten your pre-workout formula, favorite gym shirt, or even shoes. A gym bag that is too small will only give you a headache when packing for the gym, while one that’s too large will be a hassle lugging around. This is why you need the right kind of gym bag that can carry all your gear while allowing you to be mobile enough especially if you’re taking the subway or bus. Meet the Adidas Excel IV Backpack, the gym bag that lets you workout like a pro. That’s because this backpack was designed with your athletic needs in mind. They thought of everything that people look for in a successful workout and put it all together in a bag. Spacious yet rugged, there are several compartments that allow you to pack your gear neatly and efficiently. There’s adequate storage for electronics too, ideal for people who go to the gym before or after work. And speaking of work, it’s aesthetics allow you to take it to the office without compromising professionalism. None of those things will matter if your gym bag is a pain to carry, right? That’s why the Adidas Excel IV Backpack comes with the most comfortable LoadSpring shoulder straps. No matter how heavy your work out gear is, there is no need to worry about the strain on your back and shoulders. Adidas is a trusted sportswear brand with a loyal following all over the globe. The name “Adidas” is synonymous to world-class high-performance athletic wear for novices and professionals alike. Since 1924, they have been producing bags, shoes, equipment, and apparel to meet the discerning needs of individuals with an active lifestyle. The Adidas Excel IV Backpack is proof that they want you to do your best in and out of the gym. In fact, this model is also a popular choice among students because it’s comfortable and extremely practical. Outside the bag, you’ve got a tough and slightly rugged exterior that holds up well even if you toss it around the back of your car or on gym floors. Inside, zippered pockets plus a soft-lined tablet and laptop sleeve make organization on the go easy. If you’ve been using a duffel bag or a standard backpack for the gym, then you’re all too familiar with the hassles of mixing your used workout clothes with your clean and dry gear. 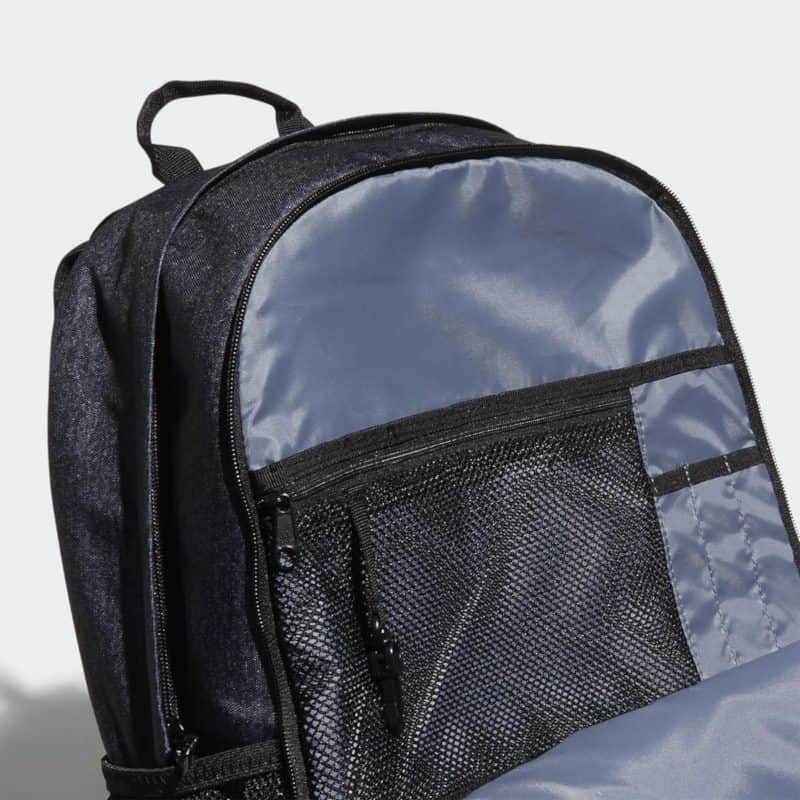 The Adidas Excel IV Backpack comes with two main zip compartments, which are perfect for separating clean and dry clothes. You can also use one of them to keep your shoes because no one wants the stench of used gym shoes on valuables. Training. Studio classes. Boxing. The outdoors, and even school. The Adidas Excel IV Backpack is the all-in-one solution for busy and sporty people. The Adidas Excel IV Backpack is just the right size for everyday and gym use. It may not be as large as other sports bags out there, but it packs a punch in terms of storage and utility. Super sturdy and durable, this bag is made to last you a lifetime. You can use the Adidas Excel IV Backpack as rugged as you like, and there’s no worry of breakage. This is one gym bag that will help you perform your best each and every single day. 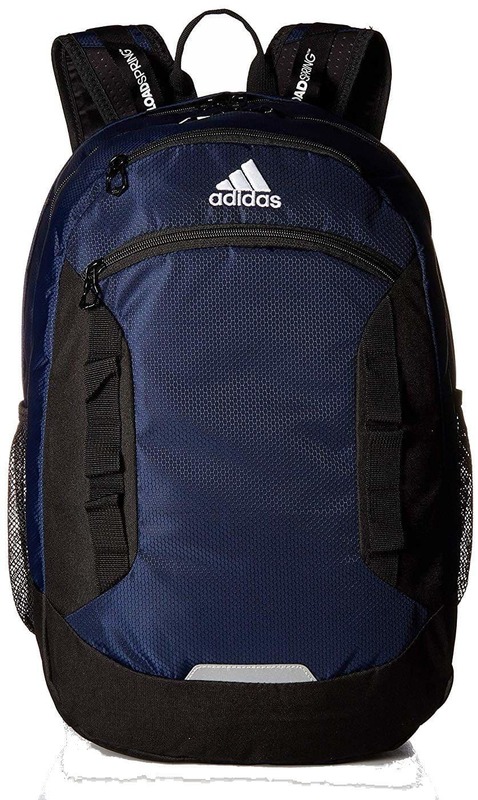 The Adidas Excel IV Backpack is a favorite of sporty individuals as well as students. If you’re in school and need a trusty bag that you can also take to varsity practice, this is the only one you’ll ever need. Customer reviews of the Adidas Excel IV Backpack are glowing and it isn’t hard to see why. According to people who have used the Adidas Excel IV Backpack, they love all its features particularly the separate main compartments and its storage. The LoadSpring straps also come in handy, particularly for people with existing back problems because it assists in reducing the weight even if you’re carrying a ton of stuff. Customers have also used this bag for traveling. Considering how affordable it is, they say you do get bang for your buck. On the other hand, a few customers complained that the small zippered pocket found on the front of the bag is too small. They say that it makes locating things inside too time-consuming. 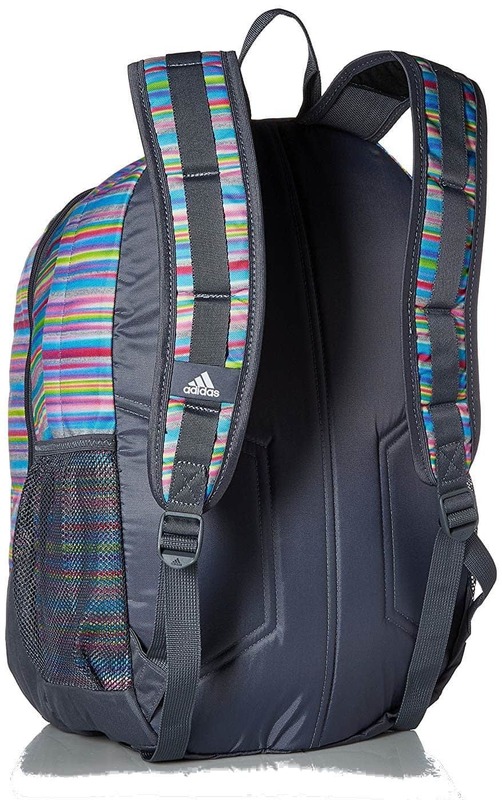 However, most of the reviews of the Adidas Excel IV Backpack sing praises for this as both a school and gym bag. If you’ve been on the hunt for either one of these types of bags, your search can end now with the Adidas Excel IV Backpack. Adidas has branches all over the globe, but the most convenient way to get the Adidas Excel IV Backpack is by shopping online. There are many terrific online sellers such as Amazon, who are known for great deals on sports bags and equipment just like this. There are many factors that contribute to the success of your workout. The kind of bag you use, and what you pack in it for each session, can help make sure you perform well. The Adidas Excel IV Backpack is the ultimate gym bag. It’s affordable and versatile too!